The Jojoba Shampoo from Jason leaves your hair feeling nourished and refortified allowing it to grow long and strong by gently cleanses and fortifying weakened hair to give maximum length without breakage. The added Jojoba Seed Oil replenishes lost moisture, while Chamomilla Recutita and Grapefruit extracts promote healthy hair growth. The shampoo also contains Yucca Filamentosa extract along with vitamin B5 to strengthen your hair, preventing breakages and split ends while Wheat Protein improves elasticity. Free from parabens, phthalates and SLS. Simply massage Jason Jojoba Shampoo into wet hair and scalp, rinse and repeat where desired and follow with Jason Jojoba Conditioner. The Jason Jojoba Shampoo - Long and Strong - 480ml product ethics are indicated below. To learn more about these product ethics and to see related products, follow the links below. I love this shampoo. I have been using it for a while now. It smells great and has made my hair healthier. Quite a mmild shampoo so feels good for everyday use. It is a bit gloopy to handle. Lathers quite well. I have long hair and every now and then it gets boosted by this product - not atall gloopy and smells lush too! 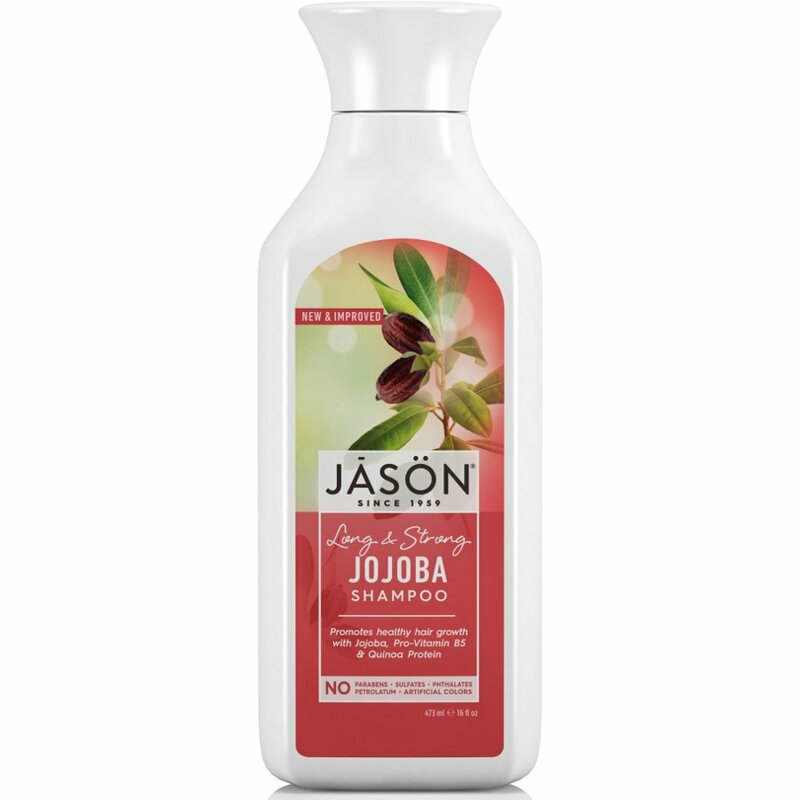 There are currently no questions to display about Jason Jojoba Shampoo - Long and Strong - 480ml.